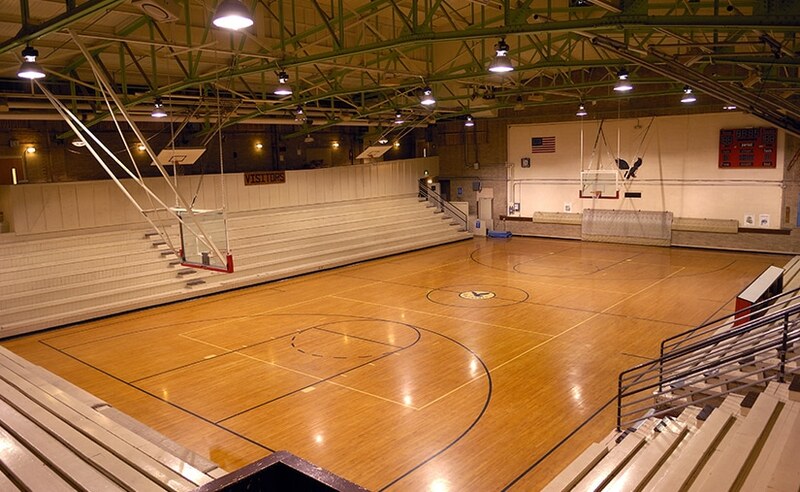 Basketball hoops, band towers, light poles, and bleachers are just some of the physical assets a typical independent school district facility manager might oversee. Add the countless other assets a school may own, multiply them by the number of facilities in each district, and the list of items requiring regular visual inspections, maintenance, and repairs increases exponentially. It doesn’t take a mathematician to recognize the process of inventory control, condition assessments, task order assignments, and preventive maintenance tracking and major repair history can be tedious. Terracon’s service partnership with Texas school districts is a prime example of the effective combination of technical expertise and data assimilation technology. Using the ArcGIS platform and visual assessment, a custom digital solution has been developed for an owner’s asset management challenges, called Digital Facility Asset Management System (DFAMS). As an example, working with the Lewisville Independent School District (LISD), one of the largest districts in North Texas, the Terracon team developed a DFAMS that makes the facility asset management process much more efficient and easily accessible to managers of facilities services. The district’s DFAMS utilizes aerial satellite imagery and a ArcGIS online mapping platform to build an interactive and GPS-enabled comprehensive asset inventory for multiple campuses. The district can view their assets on a global satellite map of the school district. Their DFAMS interactively manages and supports detailed on-field asset assessment processes using interactive capabilities between ArcGIS Desktop and mobile applications. This replaced their paper tracking and spreadsheet approach, greatly increasing accuracy and efficiency. Customized asset attributes were populated on a mobile application for use during the local school district’s on-field inspections of each facility asset, simplifying the review process. Data obtained during on-field assessments was captured in real time, improving process efficiency. Users can upload data such as assessment reports, special field notes, and photographs for any item. Their DFAMS’s ability to retain the previously generated assessment data with date stamps for any individual asset and flexibility to repeat the assessment process for the same asset in the future provides a consistent and comprehensive history for individual assets. The system’s ability to interact with other readily available applications owned by the district makes it a useful tool to facilitate task order assignment and repair tracking. 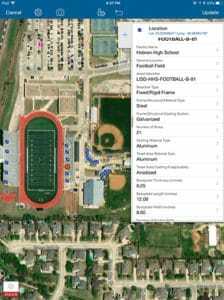 The DFAMS tool currently includes 335 assets for LISD covering 40 interior bleachers, 60 exterior bleachers, more than 220 athletic light poles, and numerous band towers. DFAMS incorporates approximately 4,300 individual date-stamped assessment reports, more than 1,000 individual asset photographs, and more than 300 repair logs. The tool also tracks and stores the date-stamped maintenance/repair history of every asset. Custom queries and reporting are readily available, affording facilities staff access to data on a “point and click” basis. A DFAMS has the potential to be a single access point to traditional asset management tasks. Because Terracon provides the program and technical consulting, the system is completely customized to the client’s needs. In their partnerships Terracon is developing additional capacities, including document control and support to emergency response systems, within their DFAMS to assist facility managers. As usage expands, more school districts may find DFAMS as the solution to the complex management of their multitude of physical assets. Sanjog Sabnis, P.E., has more than 10 years of experience in structural engineering and is the engineering diagnostic group manager for Terracon’s Dallas office. He is experienced in engineering analysis, design, and consulting in buildings, and infrastructure development for industrial and commercial clients.